Super Smash Bros. Ultimate's edition is a refined experience. Super Smash Bros. Ultimate has driven growth across the world for Nintendo sales. In the United Kingdom alone, this accounted for 90% jump in the year-over-year sales and the game made it into Amazon’s list of best-selling titles for 2018 as well. Nintendo has reported excellent results of its physical game sales in December, with the company’s iconic Super Smash Bros. Ultimate making it within the first five most-sold games. This was a 90% jump in sales levels and estimated 73% increase in revenue. Shortly after its release, Super Smash Bros. Ultimate won the affections of fans who pushed it into Amazon’s list of best-selling games for 2018, establishing a new record whereby a video game has managed to top the chart. Usually, it was PlayStation Store gift cards topping the charts. The latest instalment of the series has come with a warning that it might not be as esports-oriented and focused, but this didn’t curb the enthusiasm of fans who lapped up the chapter, shedding sufficient money and showing enough enthusiasm to distinguish Super Smash Bros. Ultimate as the fastest-selling title in the entire franchise to date. Nintendo reported that in less than two weeks (11 days to be precise), the game sold 3 million copies, an impressive number by all estimates. Sales were particularly strong in Japan, a fact occasioned not only by the deep love for the franchise, but also a new piece of legislation that is finally relaxing the cumbersome esports laws that have so far prevented Japanese gamers from competing actively. 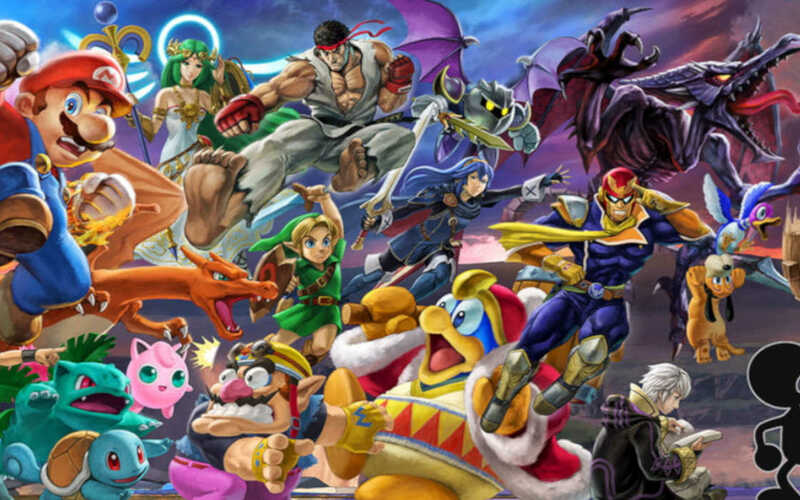 The raising popularity of the Super Smash Bros. Ultimate franchise also led to a direct boost for Nintendo’s Switch platform sales. Similarly, Nintendo benefitted from the popularity of Fortnite, with half of Switch users having downloaded the game. Amazon didn’t offer a detailed break-down of the numbers, leaving a lot of room for speculation. However, given the other items on its list of best-selling items, including the season-popular PlayStation gift cards, we can only assume that Nintendo managed to rake in a lot of money. Every major Nintendo Switch exclusive in 2019 and beyond! In fact, the only other games to make the list were Red Dead Redemption 2, Super Mario Party and Spider Man. Meanwhile, Super Smash Bros. Ultimate’s popularity has been growing. Talks about esports have also been intensifying, although the community will take some time transitioning into a full-blown competitive format. Nintendo can do much to boost this, but for the time being Masahiro Sakurai, the game’s creator, has said that he had created Ultimate to accommodate the more “casual” fans of the franchise, still taking into consideration the needs of esports players, but not entirely focusing on this aspect. Nevertheless, Mr. Sakurai’s forthcoming and great care for the player base has been enough to spawn the grassroots community around the game that will carry the Super Smash Bros. franchise to a fully-developed esports game in 2019. Super Smash Bros. Ultimate has beaten all expectations becoming the best-selling game on Amazon, ahead of PlayStation gift cards and Red Dead Redemption 2.